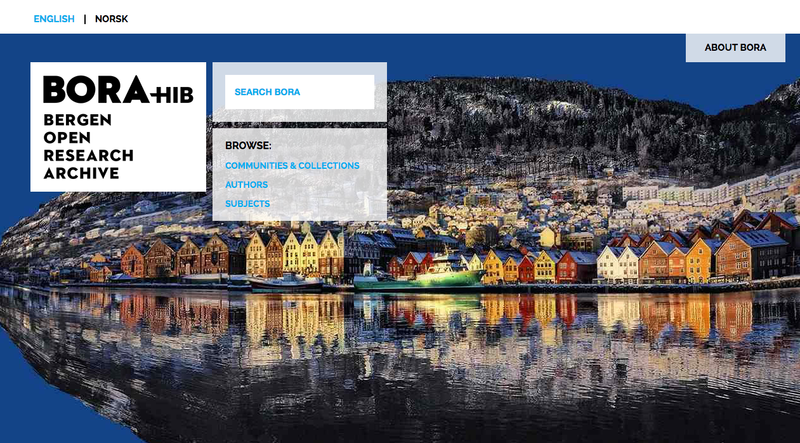 BORA was the Institutional Repository for Bergen University College. It had featured a groundbreaking Joomla integration and user interface punctuated by a flexible interface that was not restricted by DSpace’s XMLUI. It had full search and browse integrated with Joomla. 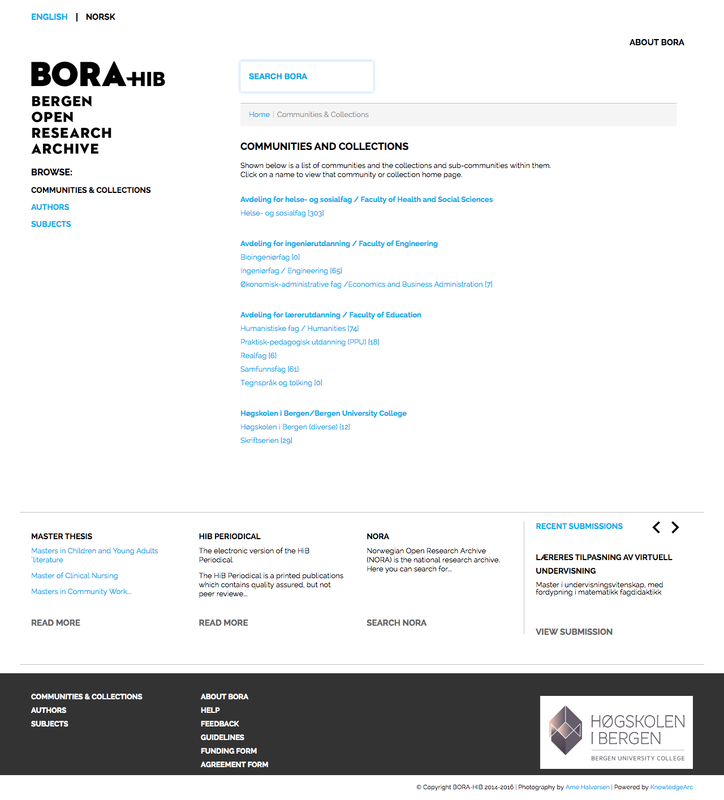 Sadly the archive was retired when the Bergen University College was folded into the consortium that became the Western Norway University of Applied Sciences.